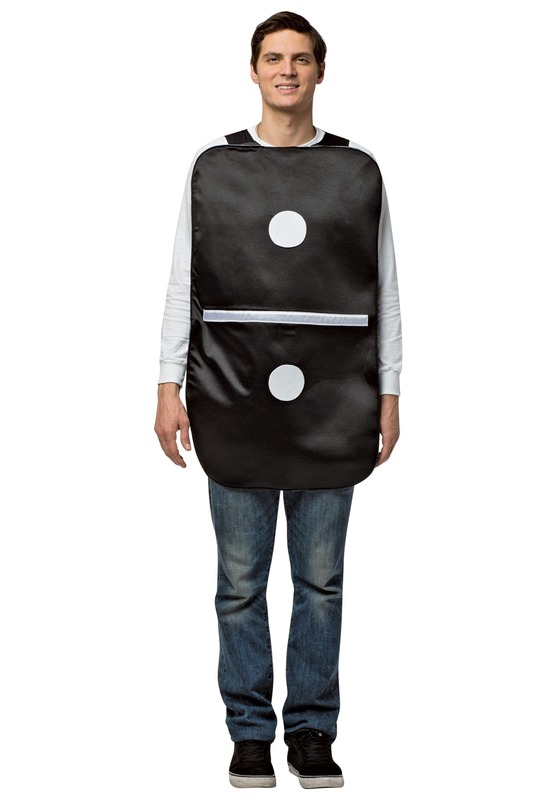 We’ve tried to think of all the things you can do in this Adult Domino Costume. So far, our best idea has been to form a novelty band that wears a matching set of these domino outfits and performs only covers of the Van Morrison song of the same name in different musical styles. Dub Domino, doom metal Domino, synthpop Domino, shoegaze Domino, krautrock Domino––the possibilities are endless. 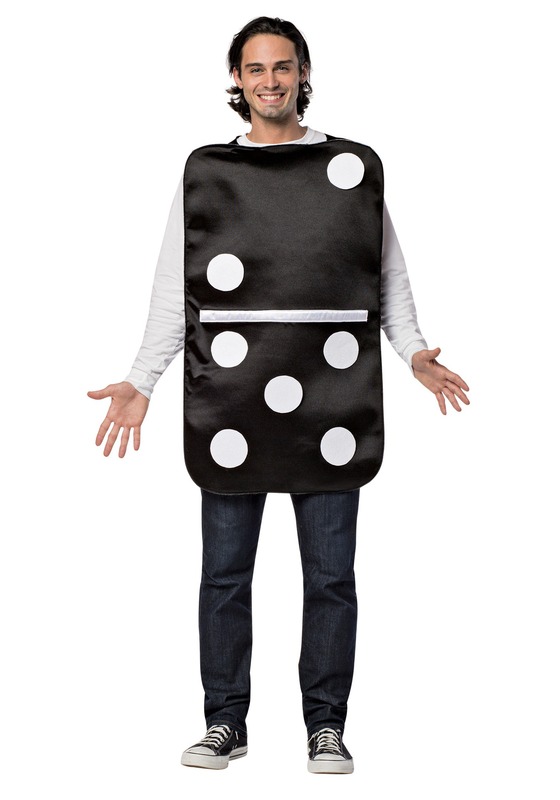 You could call yourself the “Falling Dominoes” or “Oh, Domino.” You’ll be the next Devo or OK Go for sure! But we’re pretty sure that you’ve got some plenty creative ideas of your own to pair with this costume. 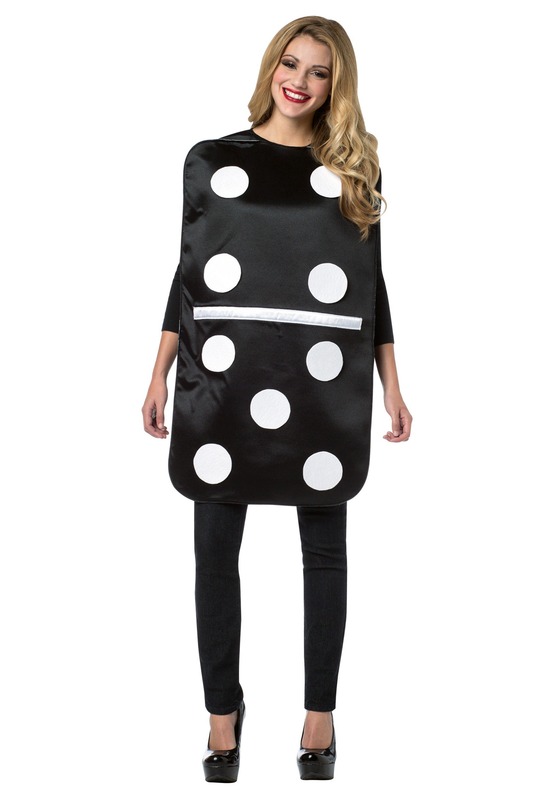 Like a life-size version of Domino Rally spread out across your city… okay, we’ll stop. We don’t want to make you feel bad about whatever you come up with. We’re sure it’ll be just as good as our ideas. 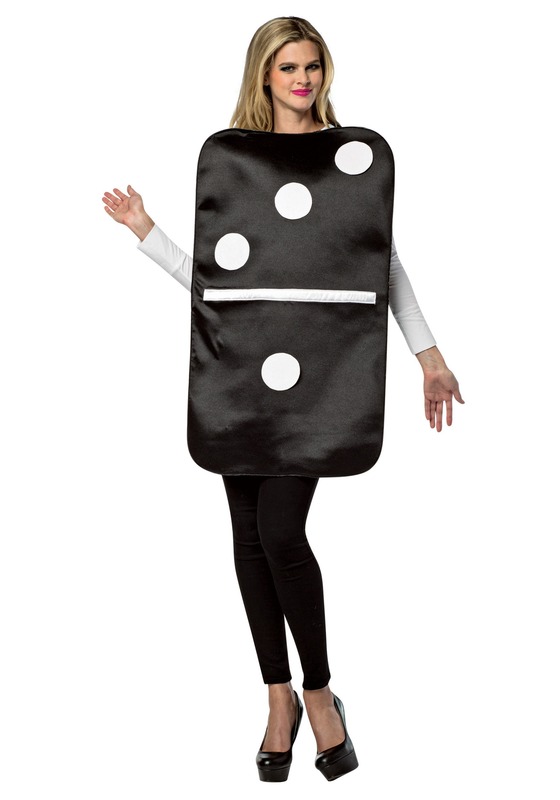 Some tips: you’ll have the most fun with this costume if you get friends to buy the same and go as a set of domino tiles. You get to place the dots on the costume yourself, so you can each be a different number. Just line yourselves up and all fall down. It’s like a trust exercise, except nobody’s going to catch you. 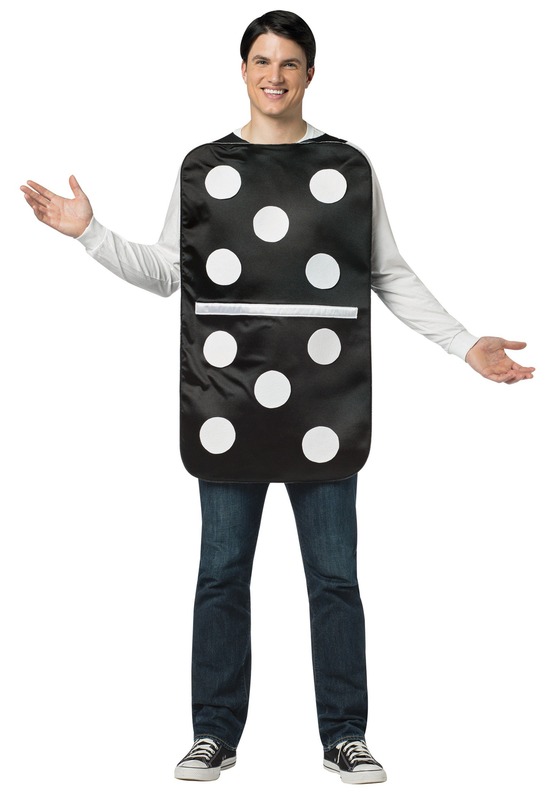 Someone can even be an elusive all-black domino, which might be a little hard to identify if gone as solo. “What are you supposed to be, the non-ice cream part of an ice cream sandwich?” How rude!